n a normal school night, 5-year-old Esther has to compete with 12 other people in a cramped apartment for space at the kitchen table to do her homework. At bedtime, she and her three sisters share a queen-size bed, while her mother and father sleep on the floor. Down the hall, a family of seven shares the other bedroom. In the morning, there’s usually a line for the bathroom. This kind of overcrowding has become commonplace in parts of the Central Coast, as low-income families struggle with increasingly steep rents. And it's having serious repercussions on kids and their teachers. Life in a house like Esther’s, where there is no guarantee of getting access to the bathroom or laundry, and no quiet place to study, can be so tough on students that some are actually considered homeless under the law, even if they have a roof over their heads. In Monterey County, the number of homeless students has grown from fewer than 1,000 to more than 9,000 over the last decade, according to figures provided by the county. That marks one of the highest rates of student homelessness in the state. On a recent evening, Esther works on her vocabulary homework and her 2-year-old sister plays nearby, while their father gets ready to leave to do an odd job for some extra cash. By day, both of Esther's parents pick strawberries. When Esther asks for scissors to cut out some letters, her dad tells her they don’t have any. Esther's parents continually worry about paying for basic necessities, including putting food on the table and coming up with their share of the rent that they split monthly with the other family. Esther’s mom says the kids aren’t comfortable here. They don’t sleep well. There’s no privacy and space for their things. And it’s hard to stay organized and concentrate on schoolwork. Salinas was once among the most affordable cities is this region, but rents have climbed over 50 percent in the last five years, according to Apartment List data. That’s more than twice the rate of increase in San Francisco or Oakland. Housing costs are one of the key reasons one in four kids on the Central Coast is considered poor. On a recent weeknight, the homeless shelter in downtown Salinas is packed beyond capacity. Dinner is over and people are watching TV on folding chairs, or trying to sleep. Some have brought air mattresses, others are on the floor. There are no doors to keep out the noise of babies crying and children playing in the halls. A 12-year-old named Gisbelle, one of the 25 kids at the shelter, said it's tough to get her homework done here. Gisbelle’s 10-year-old sister, Sahily, is sitting nearby listening, and eating a cup of noodles. She wears a T-shirt that's a bit dirty, a little too small. School has been hard, she said. 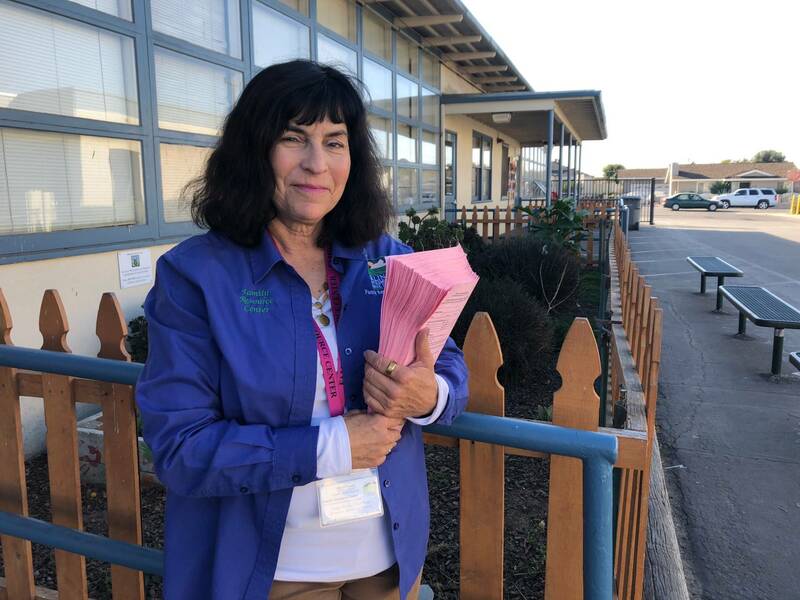 Teachers at Sherwood Elementary School in Salinas are seeing firsthand the effect this is having on their students, about half of whom are considered homeless. 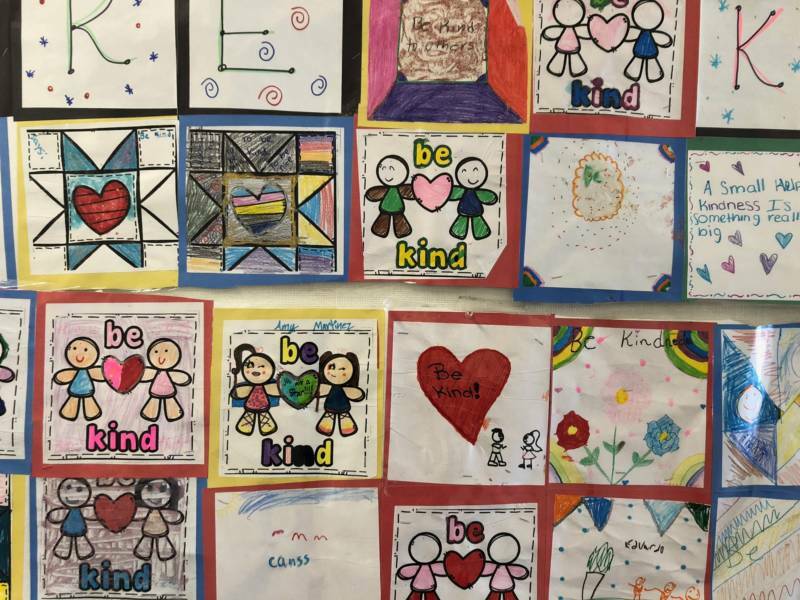 This year, 21 of the 25 students in the third-grade class Maria Castellanos teaches are considered homeless. Some are on the streets or in shelters, but most are living in trailers and garages, or renting rooms, closets and even hallways. Oscar Ramos, a veteran second-grade teacher, said 70 percent of his students are considered homeless. “Some of them come in hungry, some of them come in very sleepy," he said. "You see the frustration in their face because they don't have everything they need to enjoy the day." These factors make teaching challenging. 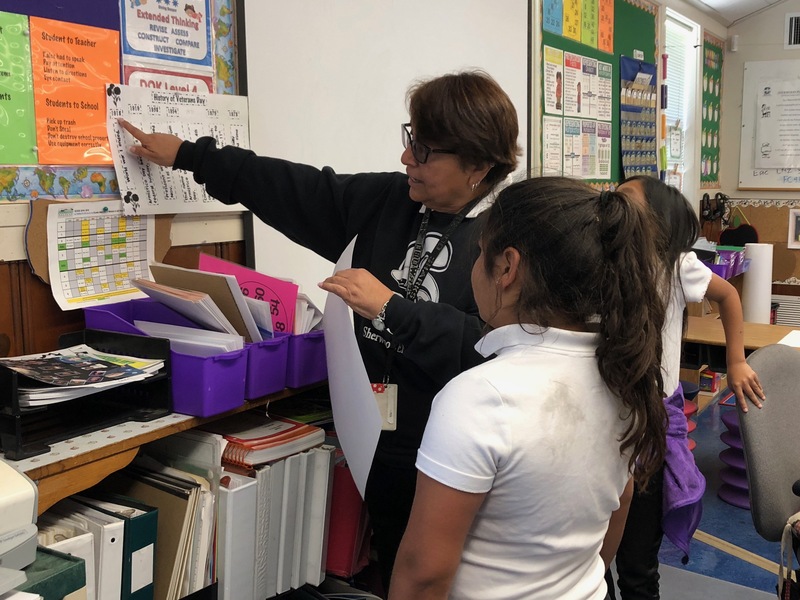 But Castellanos and Ramos, who both grew up in poverty, said they feel a strong personal connection to their students. Ramos and Castellanos made it out of poverty. They went to college, they do work they love, and they want the same thing for their students. “Somebody has to be here with these kids and say ‘You know what, you can do it,’ ” Castellanos said. “To tell the parents, ‘I did it, so your child can do it.' "